This album was to have been released by Empyrean but was pulled at the last minute for undisclosed reasons. It will be left up here for historical purposes, though no copies were ever produced. - New CD shipped with 18x24 screen printed original artwork by the band hand numbered and signed by Wheat. - The artwork is rolled and shipped unfolded separately - so it arrives suitable for framing. Each artwork poster is hand signed and numbered in black marker by Wheat. - Each CD includes a bonus disc with 5 unreleased instrumental bonus tracks (unavailable anywhere else!) and 3 new Wheat videos. - This package is limited to the first 1000 orders. Once they are gone they are gone. And they will go fast! Move=Move is the new mini album from Wheat. For now - and perhaps forever (we haven't decided yet) - it is only available to fans here at empyreanrecords.com. It is a bridge between their current release Everyday I Said A Prayer For Kathy And Made a One Inch Square and the brilliance that will be heard on their next full length record. You will be happy to hear that these are hands down some of the best songs that we have heard from the band. They seem to be in a great creative space and we can only imagine what they will hand in next. These songs are not filler and are a MUST for all Wheat fans! Move=Move (the track) is the upcoming radio single from their celebrated current album Everyday I Said A Prayer For Kathy And Made a One Inch Square. This mini album features the radio edit for Move=Move along with several new stunning Wheat tracks. Wheat spent some time in the studio with Dave Auchenbach (Lightning Bolt, early Wheat, Small Factory) and the end result is mind blowing (wait until you hear the track Too Much Time). Both new and old Wheat fans will have a lot to celebrate here. The package also includes a bonus CD with some amazing instrumental tracks (fans of Wheat's Courting Ed Templeton and Washing Machine Blues will not want to miss out on these!). 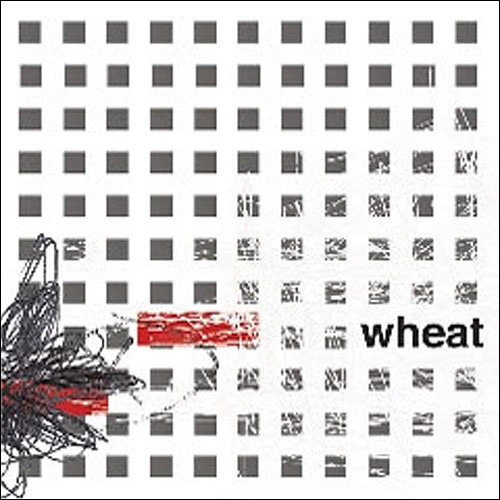 On top of this the bonus CD has 3 Wheat videos (two of which are unreleased at this time). Now with this mini album ready for fans, the band has started writing material for the 5th studio album and second full length for Empyrean. A release date has not been set yet, but as soon as we know more, we will let you know.